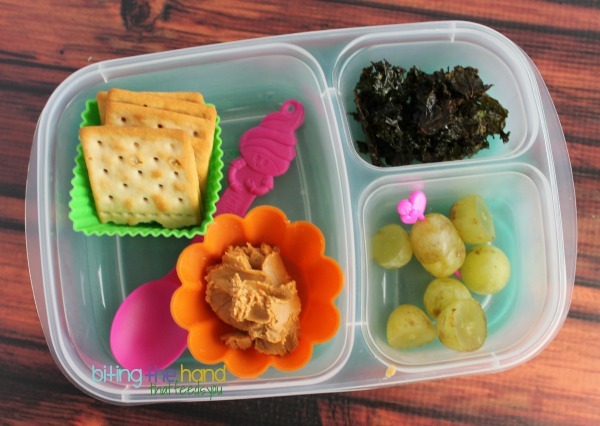 Biting The Hand That Feeds You: Kindergarten (and Toddler!) 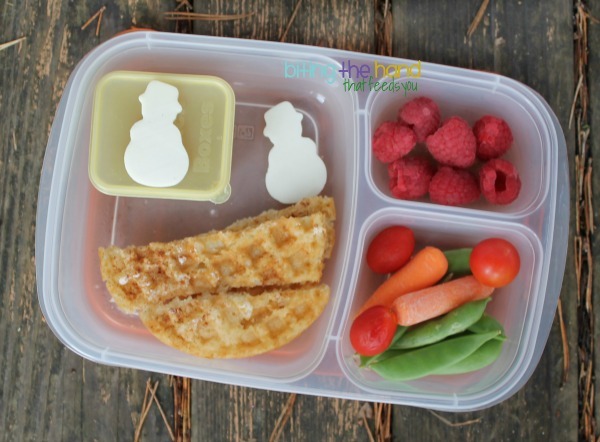 Lunch Round-Up! Kindergarten (and Toddler!) 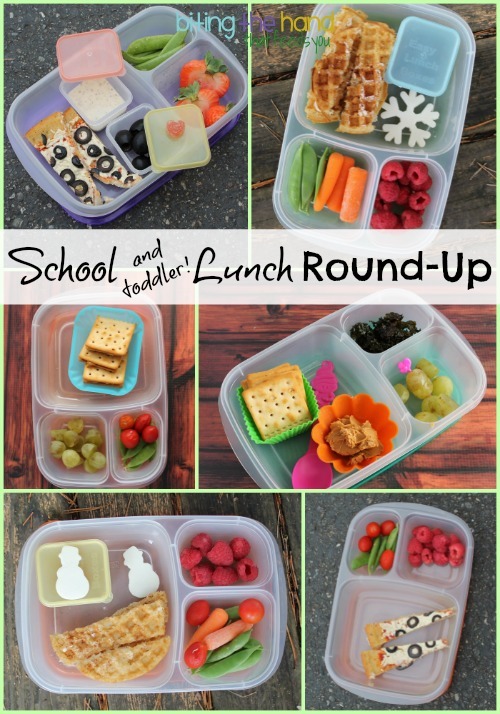 Lunch Round-Up! 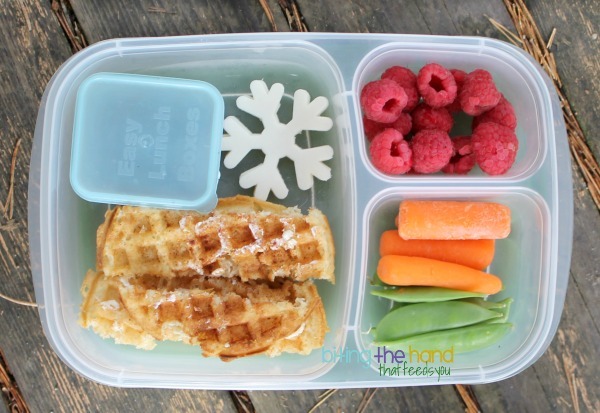 Some fun and easy lunches for my girls. 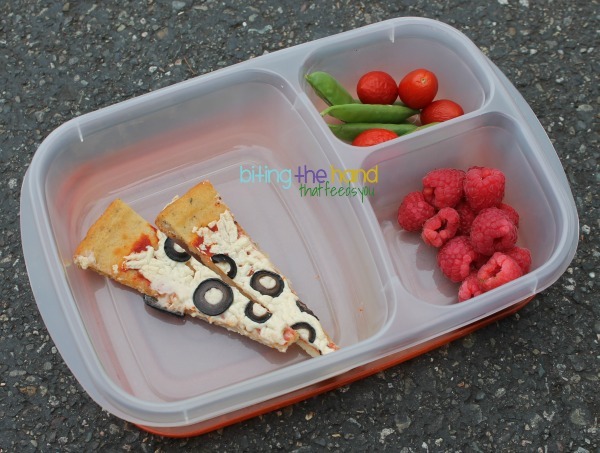 All three of these lunches happen to be ideas on the MOMables menu and blog! 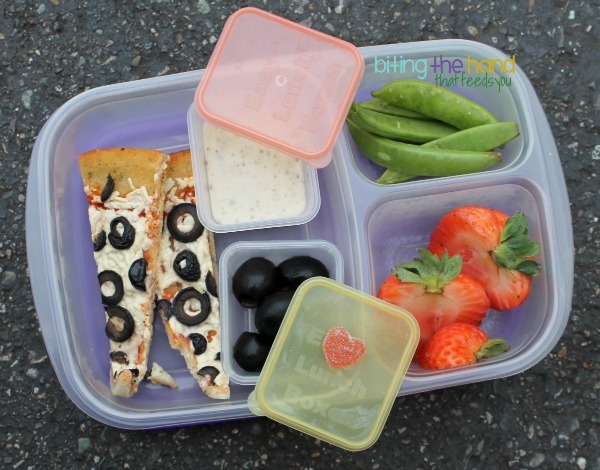 Turning leftover pizza into Pizza Dippers is one of Z's favorite lunches, and a great way to salve having to miss out on buying cafeteria lunch on pizza day. This pizza is left over from Naked Pizza, which is a chain that makes whole grain all-natural pizzas. 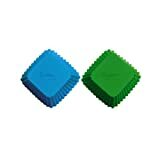 They offer a gluten-free crust and non-dairy cheese, although their gluten-free crust contains small amounts of dairy. Booo! Fine for my girls though. I had a salad. But I love-love-love that their soda fountain offers only dye-free all-natural sodas too! A smaller version for Little Sis. No dip for her. She's too messy! I try to keep Van's gluten-free frozen waffles on-hand, but often I can't find them in my over-packed freezer sometimes I'm out. But when I can find them, they make for a fun "Breakfast-for-Lunch" option! After toasting them, I cut the waffles into "fingers" to make them easy to dip, which is super fun! Z enjoys having her peanut butter separate, to spread on the crackers herself, or to just eat by the spoonful! The spoon came from some ice cream place somewhere, and was sent to me by a friend. E can't be trusted, so she got PB Cracker Stackers already assembled. 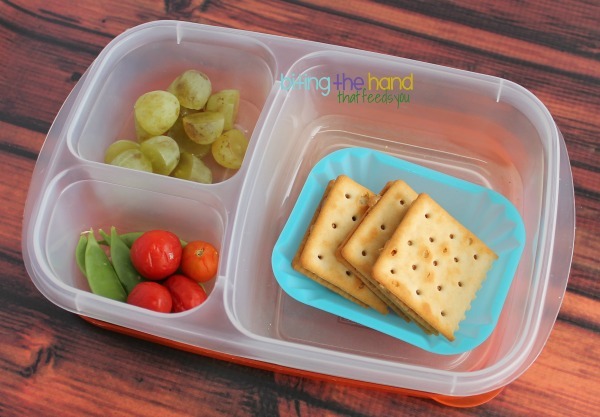 lunches look great! I can't wait to do sister+me lunches--maybe next year! I have two kids who are dairy-free, and I'm not sure why, but it never occurred to me to try goat cheese with them--- I love how you cut it into shapes--- Goat cheese can have a pretty distinctive taste… is there any kind that you have found to be better for kiddos than others?